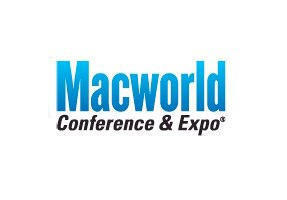 Apple today announced that 2009 will be the last year the company exhibits at Macworld Expo. Citing the declining efficacy of reaching its audience through participation in trade shows, the company issued a press release indicating Philip Schiller, Apple’s senior vice president of Worldwide Product Marketing, will deliver the opening keynote for this year’s Macworld Conference & Expo. Schiller’s will be Apple’s last keynote at the show, which held its debut event in 1985. The keynote address will be held at Moscone West on Tuesday, January 6, 2009 at 9:00 a.m. Macworld will be held at San Francisco’s Moscone Center January 5-9, 2009. With the increasing popularity of Apple’s Retail Stores, which more than 3.5 million people visit every week, and the Apple.com website, the company is able to directly reach more than a hundred million customers around the world in ways a trade show could never hope to. Apple has been steadily scaling back on trade shows in recent years, including NAB, Macworld New York, Macworld Tokyo and Apple Expo in Paris. what they don’t mention is that starting fall 2009, all announcements will be broadcast simultaneously to every apple store and major apple vendor from Steve’s new moon base. No, they’ll be from the bunker at the secret UNDERGROUND base where the rest of the alien technology is kept that they get their ideas from. Steve on the big stage will be missed but Apple tech will continue to be amazing! It will still be good though, it would be nice if Steve where there. We are showing our new product for the first time there this year.